Next time you take your pup for a walk in hoodie weather, be sure you’re prepared with this Casual Fleece Dog Hoodie. 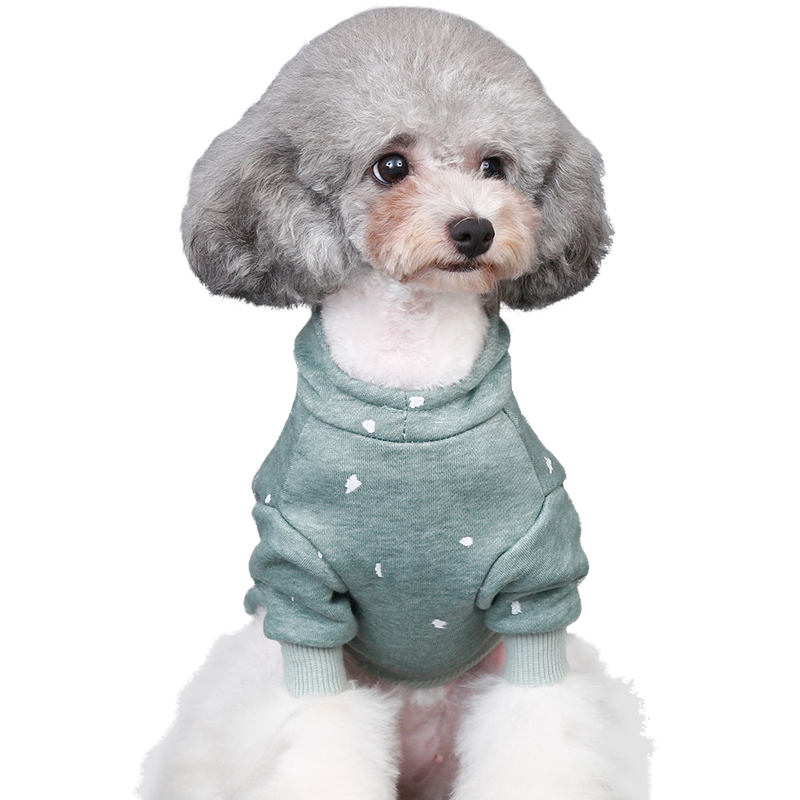 This soft hoodie is styled like the traditional pull-over hoodie, but it’s made especially for dogs. He’ll be walking the block in style and comfort with this cozy, fleece-lined hoodie that will really warm him up in the chilly weather. 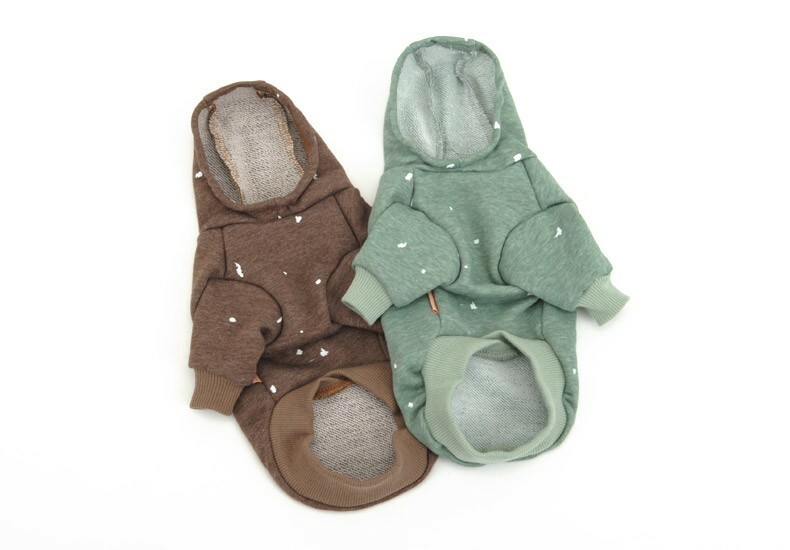 With this cute hooded sweatshirt, you can keep your pooch’s head and ears protected from the wind and the cold air. He can even keep it on inside to stay warm and snuggly. The ribbed belly panel is stretchable, so it’s not only comfortable for your dog but is easy for you to put on and take off. Keeps your pet warm and in style. Traditional hoodie-style dog sweater helps keep your pooch warm. Perfect for outings on crisp days, but many sensitive pets appreciate wearing them indoors as well. 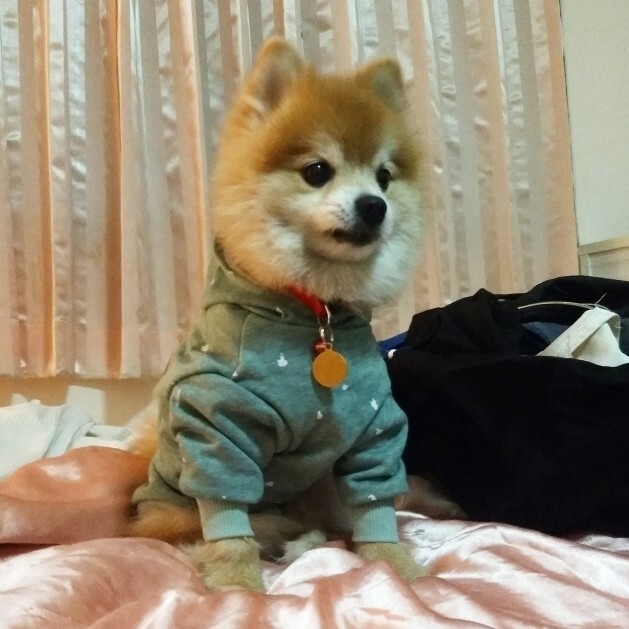 For pets that don't tolerate air conditioning, our hoodie is the ideal solution. 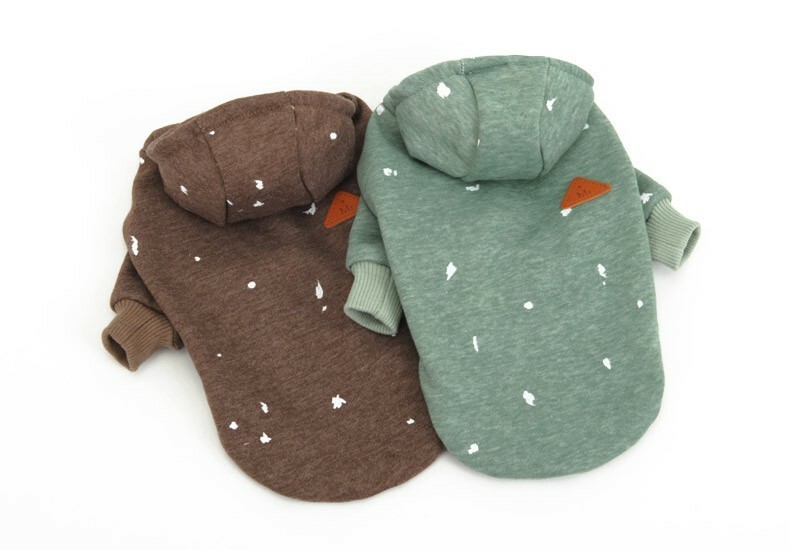 Made with comfy sweatshirt material and lined with fleece for extra warmth, your pooch will enjoy the coziness and freedom of movement in this sweatshirt. In fact, this hoodie is so comfortable that we have many cat customers who enjoy them as well. Fashionable. 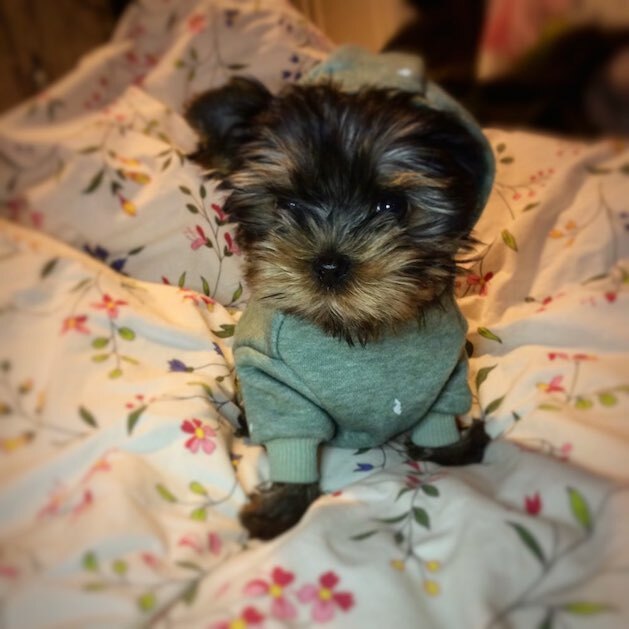 Cute pattern gives your dog instant cool points. Pull-over design makes it easy to put on and take off. Easy to clean. Machine washable for easy cleaning. You won't have to worry about traveling off the beaten path when he's wearing this fashionable hoodie. This garment won't impede your pup on their walks thanks to the high-cut tummy designed to prevent soiling. Versatile. Comes in two cute colors. 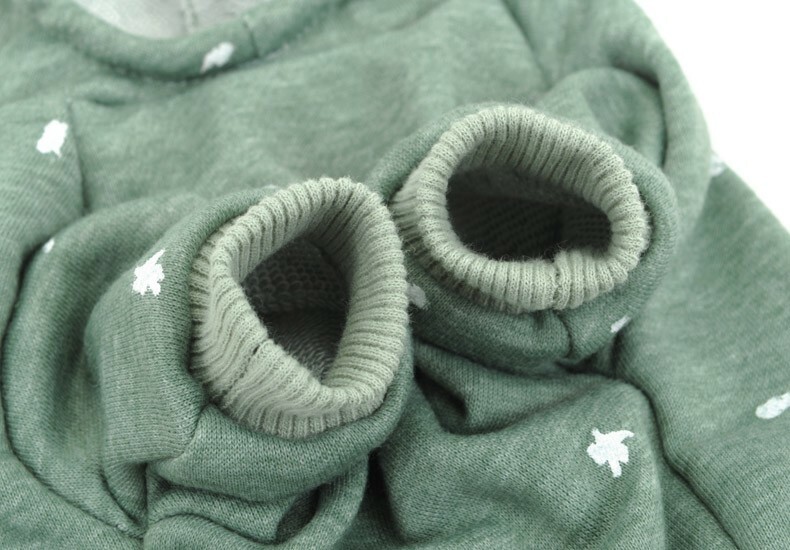 Choose sizes from extra-small to extra-large to fit every breed.